NURTURED MEMORIES is an exhibit by artist Phyllis Thompson. 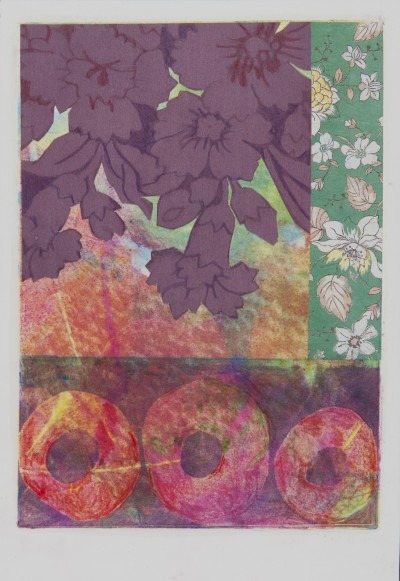 Thompson uses the process of monotype printmaking with the use of assorted collage materials to create one-of-a kind mixed media prints. The prints include memories from the artist’s childhood, of experiences with family and friends, and with ancestors she has only met through photographs. The show features a series of works called Reminiscences which can be likened to daydreams, meditations, and doodles. They are shapes, textures, words and patterns that come together in visual form. Free & Open to the Public --- Join us for the opening reception!